Sarah Kliff, right, speaks to the Overture Center for the Arts audience Wednesday, Nov. 29, 2017. Kliff is joined by David Wahlberg, center, and J. Paul Kelleher. Photo by Steven Potter. 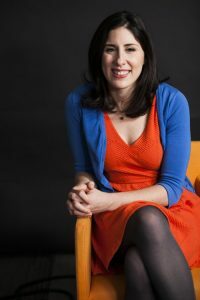 MADISON – At the heart of the national debate over health care policy is a society trying to balance whether health care is a human right or something that can only be earned, said Vox health care journalist Sarah Kliff. A visit to Canada with Bernie Sanders to learn about Canadian health policy illumined for her how different countries see access to health care far fundamental, Kliff said. “A health care system can really speak to a country’s values,” she said. Kliff, along with J. Paul Kelleher of UW’s Department of Medical History & Bioethics and Wisconsin State Journal health care reporter David Wahlberg, took part in a Nov. 29 panel discussion on US health care and journalism ethics at the Overture Center. The discussion was organized by UW’s Center for Journalism Ethics. Kliff said journalists should be providing readers with interesting stories reported in clear and engaging language, even on complex policy stories like health care. Yet, she said, there is a pervasive myth that all readers will pay attention to are cat GIFs. Kliff cited the most viewed video at Vox, a five-minute explanation of the history of the Syrian conflict as evidence that policy journalism can draw in audiences. Wahlberg said journalists are in the business of simplifying ideas for their readers. 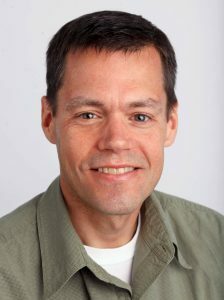 “Taking a complex topic and simplifying it is one of the challenges journalists face when covering health care,” he said. It can be difficult, he said, for online audiences to differentiate between health care opinions and balanced news. He said various outlets are developing systems to call out lies and misinformation from political leaders. 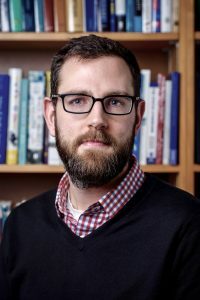 Kelleher, an expert on ethical issues in health policy, said it would benefit the public understanding of healthcare issues if academics would devote more time communicating with the public about health care research. He said high medical costs often reflect government policy choices, adding that many people don’t know basic facts, such as what Medicaid is and does. He acknowledged differences of opinion about what constitutes fair and balanced news. The result is that the general public is left to figure out what is reliable and true. 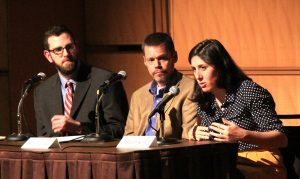 The Center for Journalism Ethics discussed health care Nov. 29, at the Overture Center for the Arts in Madison. Kathleen Bartzen Culver, director of the Center, moderated the conversation. Kliff visited the Center Nov. 27 to Dec. 1 as part of the Center’s journalist in residence program, an initiative now in its second year. The program brings renowned journalists to campus to promote engagement with UW-Madison students and the public. The Center for Journalism Ethics, housed in the School of Journalism and Mass Communication at the University of Wisconsin-Madison, provides an international hub for the examination of the role of professional and personal ethics in the pursuit of fair, accurate and principled journalism. Founded in 2008, the Center offers resources for journalists, educators, students and the public, including internationally recognized annual conferences exploring key issues in journalism.